In Lake Malawi, there are three main types of cichlid. Mbuna, ‘rock-dwellers’ mostly feed on the algae on the rocks they live around. Therefore, their diet should reflect this in being vegetable-based. Haps and Peacocks are usually bigger, living in open water, and therefore have a diet that is much more varied. These fish will eat anything including bloodworm without the issues that mbuna would have (although moderation is the key word when it comes to protein-based foods). As with humans, many say that ‘variety is the spice of life’ when it comes to these fishes' diets. Now, it may not seem so important with fish, but mbuna are renowned for having poor digestive systems and so a varied diet (and knowing what to avoid) will help them live long and happy lives. 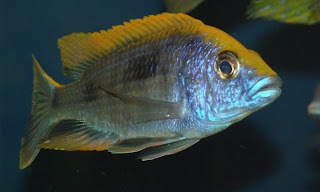 Pellets – this is the staple food for most aquarium fish. A particular favourite of many breeders is New Life Spectrum; the Cichlid formula is specifically designed for these fish and claims to bring out the best colours in these fish. New Era is another popular one which mbuna love: it’s not high in protein (something you need to watch out for with mbuna) so it is a great addition to their diet. Hikari is another dry food brand for Cichlids. Spirulina – a good food to vary their diet, which can come in pellet or flake form. 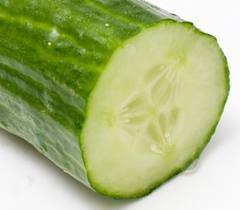 It is a vegetable-based food, substituting algae which would be their natural source of veg. Healthy, and they seem to like it. Do not feed them a lot of this; it has been linked to causing black spots on the fish. Nothing that will affect the health of the fish, but it may alter the appearance of these colourful fish. Once or twice per week is recommended. Home-based food – lettuce; broccoli; peas; cucumber; norri. All of these green veggies are great for mbuna and their health, again taking the place of algae in their artificial tank environment. There are many ways in which you can feed them these foods. Finely chopped and washed, or blended and frozen into cubes. With peas, de-shell them and maybe boil them if you want to make them softer. Cucumber can go in in an inch-long chunk, attached to something heavy to weigh it down onto the bottom. This will keep your fish busy for a while, as they chip away at the large chunk of food. Garlic is also another great food. Make sure it’s finely chopped and maybe put it in with something else. 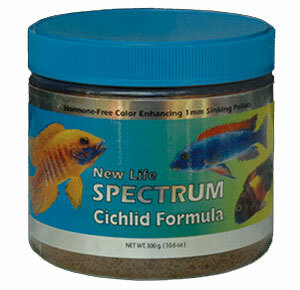 It is great for Malawi Cichlids’ health and immune system. There’s loads on these foods on the internet, and can be a cheap and fun way to feed your fish – watch them annihilate the new veggie foods that you give them. All these foods can be combined and whizzed up in a food processor, pored into ice cube trays, and frozen to be fed to your fish. Meat – to be used with caution. In you’re keeping Haps, they like a bit of variety, so foods such as chopped up prawns, daphnia, mysis and brine shrimp would be a good addition to their varied diet. You should only aim to feed them these protein-rich meaty foods twice a week, to prevent digestive illnesses. 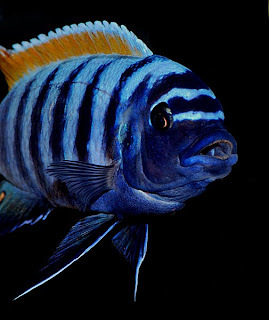 Mbuna will also enjoy the occasional treat of brine shrimp, but this should be a very rare occurrence – feeding them this regularly will result in diseases and potential death. Bloodworm – these worms may be alright with South American Cichlids and other fish, but African Cichlids’ digestive system is much longer, resulting in meaty, protein-rich foods clogging up the digestive system. This then leads to Malawi Bloat, which is very hard to treat and can kill your fish. Meat (again) – things mentioned above, like brine shrimp, are fine in moderation. Other things aren’t worth the risk. As I’ve already said, African Cichlids’ digestive tracks really aren’t suited for meat, so beef-heart, chicken or any other meaty foods like this are a no-go. Moderation is the key word with these fish. If you feed them too much of anything, particularly protein-rich foods, you will end up experiencing tough problems such as the dreaded Malawi Bloat. This can be treatable, but will most likely result in the death of the fish. Be sure to remove any uneaten food from the tank as well, as it can cause ammonia spikes and problems with the filtration. So all in all, the key points are: small amounts often; variety; and little protein. Thanks for this post! I am definitely feeding my peacocks and haps too much. The only time my water is sparkling clean is when I use a diatom filter which is annoying to setup and i have 2 canister filters on my 135 gallon tank.